Enter the plush restaurants, modern speakeasies and friendly neighbourhood watering holes from the East Coast to the West and chances are, the bar is not how you remember it. Cigar-infused aqua vitae, caviar alcohol and libations set ablaze: since the early aughts, the mixing going on behind it is looking increasingly like the first-rate liquid cookery of the pre-Prohibition era. Patrons still have their pick of traditional cocktails, be they Manhattan, Negroni or gimlet, except that modern-day bartenders are imparting fresh life to those as well as fashioning new classics with bitters, garnishes, unique and often seasonal ingredients, making tailor-made potables on the spot and serving them up in everything from a Collins glass to apothecary-style jars. Call it a cocktail renaissance, with the barkeep — or given the artistry, skill and ingenuity involved, the mixologist — at the helm. 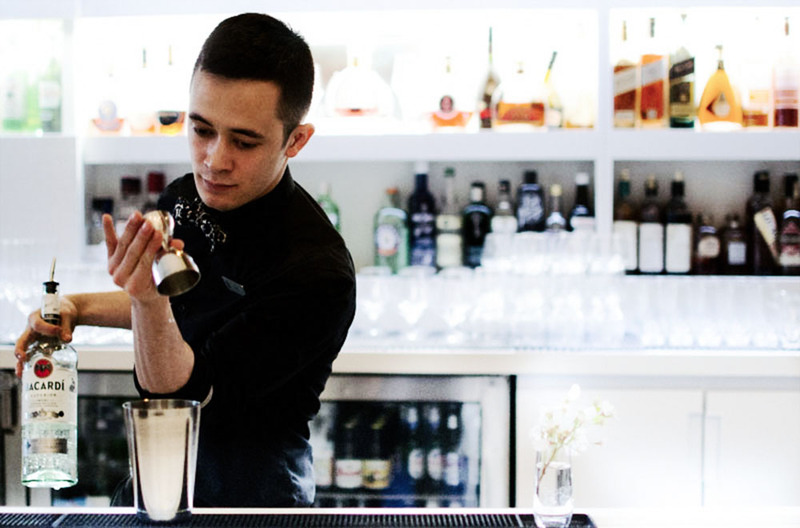 One such mixologist is Mike Shum, a rising star on the competitive circuit whose made The Lobby Lounge and RawBar at the Fairmount Pacific Rim hotel in Vancouver his laboratory, or rather his kitchen. A self-professed wine, food and spirits geek, in 2010, Shum, then a server, began mixing drinks at the Hamilton Street Grill steakhouse in Yaletown on the suggestion of the bar manager. Once behind the counter, the mint julep cemented his allegiance to Cocktail Country. “There are only three ingredients [bourbon, sugar and mint], but it requires skill to execute well and is full of history,” says Shum. Now stationed at the Lobby Lounge at Fairmount Pacific Rim, professional development courses coupled with autodidactic learning — Shum is currently completing his Wine & Spirit Education Trust (WSET) diploma level 4 at the Art Institute of Vancouver — have sharpened his skills. Shum can be found mixing things up behind the bar, where bartending and the art of mixology converge.